1. WHICH ARE THE AREAS WHERE J. FOUSKAS CONSTUCTION SPECIALIZED? I. Fouskas construction company is engaged in the design and construction of buildings since 2001! Specializes in houses, apartments, complexes and commercial areas, while undertakes complete house renovation projects. 2. WHAT KIND OF RENOVATIONS J. FOUSKAS CONSTRUCTION UNDERTAKES ? Our company has years of experience in renovations of all types of buildings. We are able to renovate apartments, houses, commercial properties and hotels. If you wish to renovate your home, I. Fouskas Constructions gives you the option to select specific renovation packages, which are includes a set of default work and offer you the choice of materials! If a package is not meet your needs we offer the opportunity to adjust it as you want. 4. I’M INTERESTED IN A RENOVATION OFFER. WHAT IS THE SELECTION PROCESS? A selection of one of an offer is is simple. Just contact us to setup a meeting in order to visit to your house. Then we will customize our offer to your needs. 5. WOULD I BE CHARGE WHEN YOUR COMPANY MAKE ME A SPECIFIC RENOVATION OFFER BASED ON MY NEEDS ? 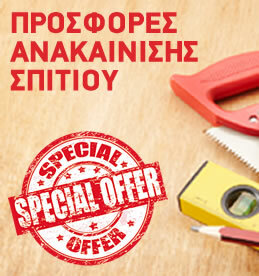 An engineer of the Company will be happy to come to your site, without any charge. The total cost wil not deferent from our written offer. However, if during the renovation you want to add some extras, we will take them into account and the cost of the final cost will be change. Any extra work is accompanied by an offer to be added in the grand total cost of the project we have commissioned. 7. WHAT IS THE DURATION OF RENOVATION? Every renovation is unique and we cannot determine the exact duration until our engineer visited your place and show you a work schedule. 8. IS SUPERVISION BY THE CUSTOMER NECESSARY DURING THE RENOVATION ? No! The engineer of our company will be responsible for the renovation and he you will be obligated for overseeing the whole operation and to keep you updated on for the progress. Of course! The I. Fouskas Constructions offers 2 years warranty for defects or potential failure of a material. The warranty does not cover damage caused by misuse or maintenance.